An express produced set of 3 gel highlighters that come with their own carry case. 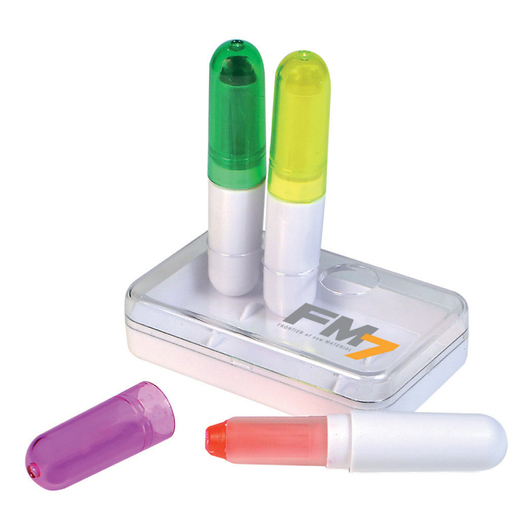 This set includes 3 gel highlighters all contained in a handy carrying case. The tip of these are formulated from a special gel that will not dry out like other highlighters, thus giving it an extremely long shelf life. These can be printed on the carry case, highlighters or both (Pricing shown is for 1 position).